It's almost that time of the year! 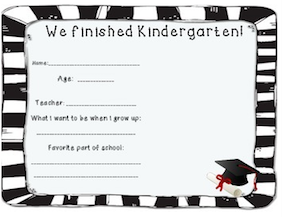 Send your Kindergarteners off with a lovely personalized certificate. 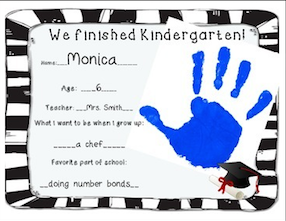 Use fingepaint to have each child put their own handprint on the certificate. Children can fill out the certificates themselves or can work with an adult to make sure the work is legible.